The 2,124-passenger Carnival Miracle has kicked off a year-round program of seven-day cruises from Tampa, doubling the line’s capacity at the port. Miracle departs Port Tampa Bay Saturdays or Sundays, calling at Cozumel, Grand Cayman, Mahogany Bay (Roatan) and Belize. These cruises are part of Carnival’s Cozumel Plus program, which features extended stays at that port, providing pax with opportunities to experience a wider variety of excursions, many of them on the mainland. The new six-day voyages feature day-long stops at Cozumel, Belize and Costa Maya or Mahogany Bay. The eight-day Panama Canal cruises include a partial transit of the Panama Canal along with stops at Limon (Costa Rica) and Grand Cayman. There’s also an eight-day, five-port Caribbean cruise that visits Cozumel, Costa Maya, Mahogany Bay, Belize and Grand Cayman. 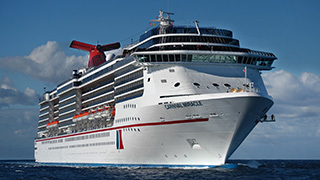 Carnival Miracle will also offer a 14-day Carnival Journeys Panama Canal cruise round-trip from Tampa, with stops in Cozumel and Limon prior to a partial Panama Canal transit and calls at Cartagena, Aruba, Curaçao and Montego Bay.